Old photographs are packed with memories, but they’re also lacking quite a few elements that are common in pictures today. Color, for one. 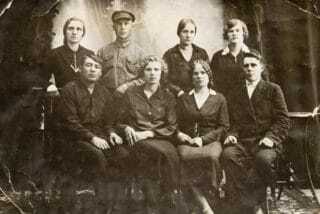 But perhaps the most noticeable difference between old time pictures and modern snapshots is the lack of smiles. At our Austin dental offices, we want all of our patients to smile big and wide in photos, and we were curious to why this wasn’t always the norm. If this sounds like you, there are ways we can help. Cosmetic dentistry, along with high-tech equipment, makes getting the smile you’ve always wanted easier than ever before. If you want to stop hiding your smile in pictures, give our Austin dental offices a call today to set up a consultation. We’ll discuss your smile goals and the best solutions to get you the smile of your dreams. 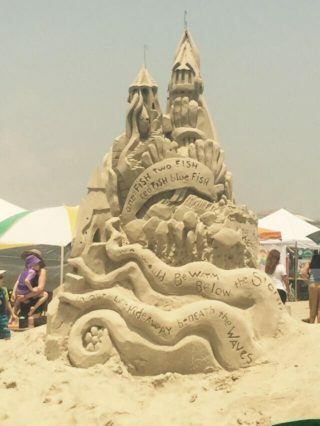 Not Your Ordinary Sand Castle…IT’S SANDFEST! What started out in 1997 with 2 moms sitting in folding chairs, building sand castles with their kids on the Texas beach of Port Aransas– has turned in to a huge attraction sight! 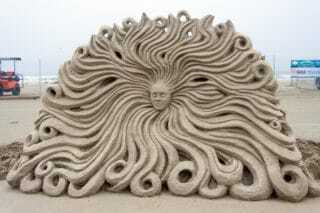 Texas SandFest is now a 3 day festival with sculpture artists from all over the United States participating. This event is held usually in April, during a shoulder tourist season (when very few tourists are in town) and when low tides are predicted. The coastline is marked off with areas for these artists to create their own “sand sculpture” and reveal their talents for all to see. These masterpieces are constructed right before your eyes and is a sight to see! Contests are held and voted on by the public, they even have areas for children to build and participate, some even take classes. SandFest has been known to raise over $80,000. annually and donates it to various non-profit organizations in the Port Aransas community, therefore, their way of giving back! Several of our team members have visited the event and have made it an annual trip! If your looking for a fun, family roadtrip….check out Port A! It’s right in your own backyard. 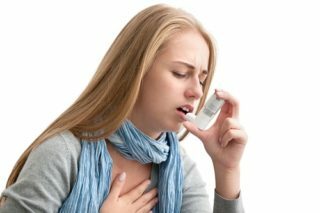 Asthma affects nearly 24 million Americans and is a serious medical condition that, if not treated proactively, can lead to trouble breathing, wheezing, and sometimes, even death. But at our Austin dental office, we also know it may have a negative effect on oral health. There’s been a long-standing belief that those with asthma have an increased risk for oral health problems, including cavities. Since many asthma sufferers tend to also be mouth breathers, the chance for dry mouth is greater. And dry mouth is a concern for your Austin dentist. When saliva production decreases, its ability to properly rinse away germs and bacteria diminishes, and the likelihood of developing cavities goes up. Even if mouth breathing isn’t a factor, common asthma medications can also dry out the mouth and decrease saliva flow. As always, the best way to prevent cavities is to brush twice a day, floss once a day, and see your dentist regularly. We’re always accepting new patients at our Austin dental office, so if it’s time for your checkup, give us a call to schedule an appointment.